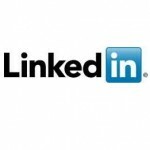 What are the hidden benefits of LinkedIn recruiting? 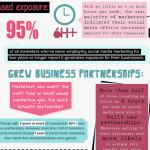 For many professional-minded people out there who are actively seeking jobs, social media sites are a great channel for reaching out to others and making long-lasting connections that could lead to employment. 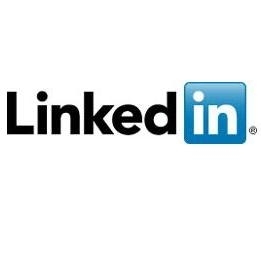 LinkedIn is an especially powerful tool in this regard, as the site is specifically tailored toward professional users – people can use their personal pages to display their resumes, boast about their skills and make connections with others who are well connected in their specific industries. What’s great about LinkedIn is that it’s not only beneficial for workers – employees can extract many uses from the site as well. If you’re looking to add more employees and you need a way to reach out to potential candidates for your openings, LinkedIn can be a great channel for rapidly finding qualified people who would fit your business needs. Too many entrepreneurs take a half-hearted approach to LinkedIn, though. The beauty of the site is that it offers much more than a simple profile page with a list of job qualifications – LinkedIn actually has a rich tapestry of features that will help you dig deeper and find better employees. Ultimately, it will be a huge boon to you as you go about managing your small business. Business on Main recently sang the praises of using LinkedIn on a deeper level, far exceeding the bare minimum and exploring more of what the site has to offer. Nicole Williams, one of LinkedIn’s experts, said that simply creating a profile and letting it wither would be a big mistake. If you want to get the most of LinkedIn for recruiting purposes, you have to put in some serious time and effort. Here are a few tips to get you moving in the right direction. Of course it’s beneficial to fill out a complete LinkedIn profile so that people can learn more about you. What’s even better, though, is two complete profiles. Write one for your company and one for yourself – the company page will have information about your corporate vision and long-term goals, while the personal one will help potential job candidates see your human side and connect with you on another level. By joining groups dedicated to people in your field, you can share ideas about your industry and learn more about the opinions and insights of others. By linking people to news articles, videos and podcasts about the industry and gauging people’s responses, you can get to know your connections better, possibly finding one who’s worthy of a job offer. If you need to do some further research before making a hiring decision, either about a role and what it entails or about a specific applicant’s background, LinkedIn is a great place to go digging. You can find the specifics about a candidate and his or her qualifications, or you can learn more about people in a certain role – where they come from, what they do, how much they make. One of the best ways to fill a job opening is word of mouth. Use LinkedIn to reach out to your friends and professional connections and ask them for feedback about potential hires. LinkedIn is a great resource for making professional referrals, so see if anyone out there has a job applicant to offer up. LinkedIn is an excellent way to find your next great employee, but only if you’re willing to work at it. How have you used the site?